Return Program toner cartridge offers an ultra-high yield and is essential to Lexmark Print System performance. Unison toner consistently delivers outstanding image quality, ensures long-life system reliability and promotes superior sustainability - all in an innovative, shake-free print system. 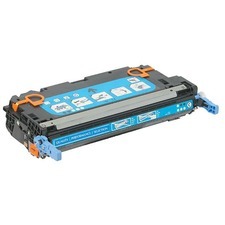 Cartridge is compatible with Lexmark CX860dte, CX860dtfe and CX860de. Genuine Lexmark supplies are engineered to work best together with your Lexmark printer, delivering excellent print quality from the first page to the last. 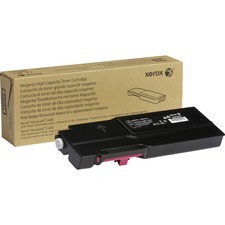 Return Program toner cartridge is a patented device that is sold at a special price subject to the restriction that the cartridge may be used only once. Following the initial use, return the cartridge only to Lexmark for remanufacture and/or recycling. Perfect for high-volume printing, extra high-yield cartridge maximizes your savings and yields approximately 55,000 pages. Remanufactured toner cartridge is designed for use with Hewlett-Packard LaserJet Pro 200 Color M251 Series and LaserJet Pro 200 Color MFP M276 Series. It is manufactured to the highest standards and print-tested before packaging. Performance is benchmarked against the OEM, guaranteeing quality and consistency. Toner delivers high-quality, crisp text resolution, page after page. 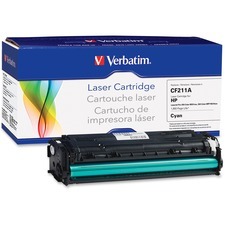 Color-compatible laser cartridges use genuine polymerized (chemical) toner, just like OEM cartridges. Polymerization yields a tighter particle distribution with a small consistent, spherical shape that improves print resolution. Cartridge yields approximately 1,800 pages at 5 percent coverage area. Xerox Genuine Xerox Magenta High Capacity Toner Cartridge For The VersaLink C400/C405 for VersaLink C400 is specially formulated and tested to provide the best image quality and most reliable printing you can count on page after page. Xerox Genuine Supplies and Xerox equipment are made for each other. Accept no imitations. 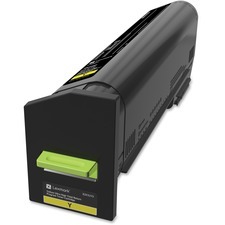 Toner cartridge is designed for use with Hewlett-Packard Color LaserJet Printers 3600, 3600n, and 3600dn. Cartridge yields approximately 4,000 pages. 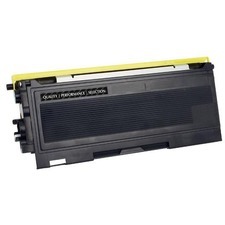 Toner cartridge is designed for use with Brother DCP-7010, DCP-7020, DCP-7025; IntelliFax-2820, IntelliFax-2910, IntelliFax-2920; HL-2030, HL-2040, HL-2070N; MFC-7220, MFC-7225N, MFC-7420, MFC-7820, and MFC-7820N. Cartridge yields approximately 2,500 pages. 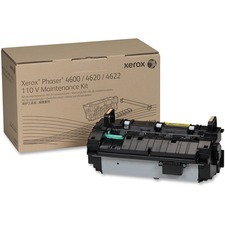 Maintenance kit is designed for use with Xerox Phaser 4600, 4620 and 4622 to keep your Xerox equipment operating efficiently and delivering the best quality. 110 volt kit includes one fuser module, one bias transfer roller, six paper tray feed rollers (three required per each main paper tray), and installation instructions for Phaser 4622. Capacity is approximately 150,000 pages. 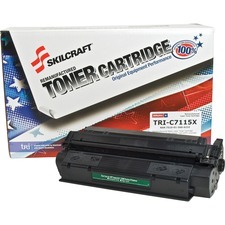 Remanufactured toner cartridge is designed for use with Hewlett-Packard LaserJet 1000, 1200, 1220, and 3300 Series. Cartridge yields approximately 3,500 pages and is made using 65 percent recycled material. 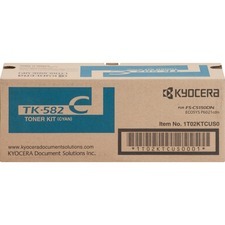 Toner cartridge delivers quality results in your Kyocera Mita FSC5150DN and Kyocera Ecosys P6021cdn. 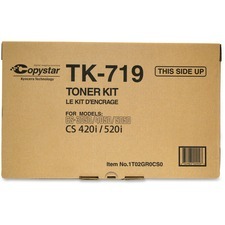 Toner produces sharp characters and well-defined images. Easy-to-install cartridge yields approximately 2,800 pages at 5 percent coverage. Toner cartridge is designed for use in Copystar CS3050, CS4050 and CS5050. Toner produces sharp characters. Cartridge yields approximately 34,000 pages.